w00t! The Burke-Gaffney Observatory fired up and started imaging. I was happy to see it image another RASC Finest NGC for me. This time, the interesting edge-on galaxy NGC 3432 (aka Arp 206) in Leo Minor. It looks bent! 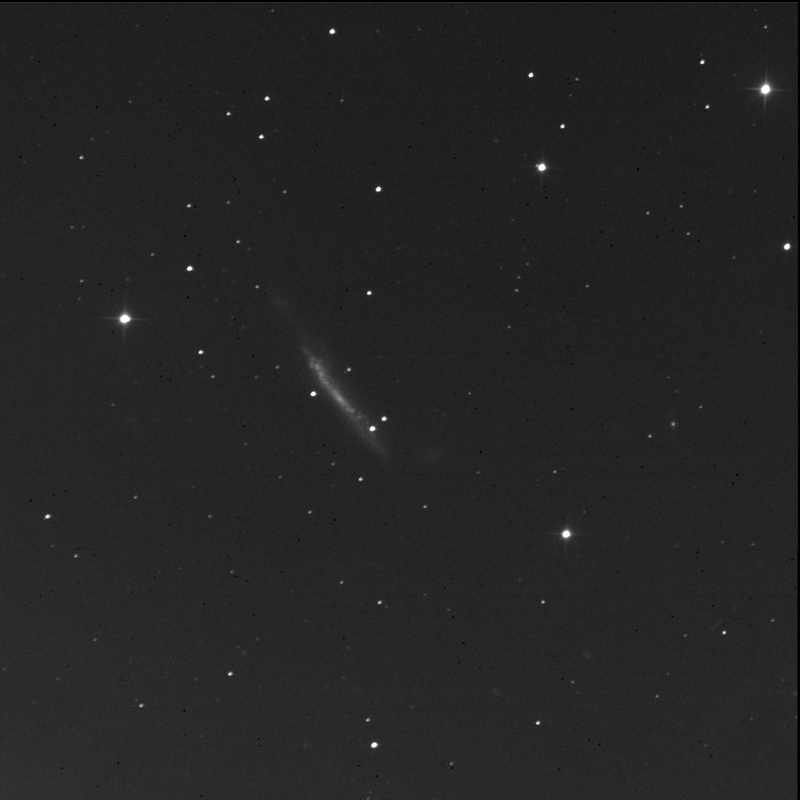 LEDA 2083781 is visible to the west of NGC 3432. It is a very bright but compact ball near the star J105145.0+363633. The soft diffuse glow off the south-west edge of the big galaxy is MCG 6-24-27. Is this the culprit? It this small galaxy disturbing the big one? LEDA 2081645, a faint oval smudge, is just north of J105154.4+362902. There seem to be many more galaxies south-west of the 3432 but they are not identified by SkyTools 3 Pro. To the south and south-east too! I see LEDA 2081544 above and right of J105245.4+362846.